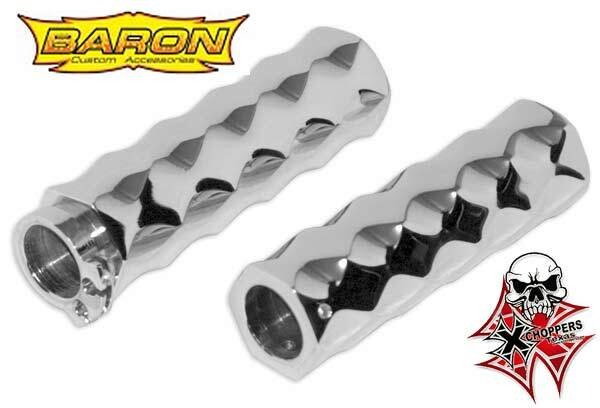 Big Bike Parts introduces a new driving light bar for the Honda VT1300 Stateline, Sabre and Interstate. This all new kit comes with the driving bar mount plus a new headlight mount bracket to brighten up the VT1300 and illuminate the road. Elliptical Tube Shaped Traditional Style. Comes with all new Halogen 55 Watt Visored 3 ½” diameter Spot Light. The 3 ½” Spot light offers a great strong horizontal light envelope to help see animals and items low, in front and to the sides. Comes complete with a universal wire harness and switch. 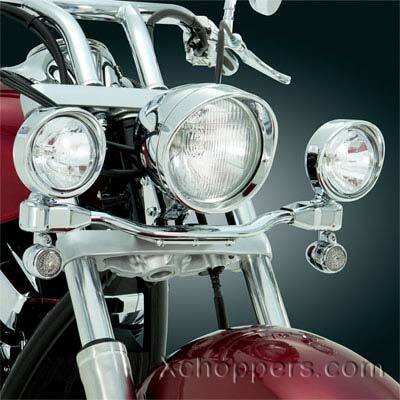 Combine with Big Bike Parts 13-207 Handlebar Mounted Switch to easily control these lights from your grip.